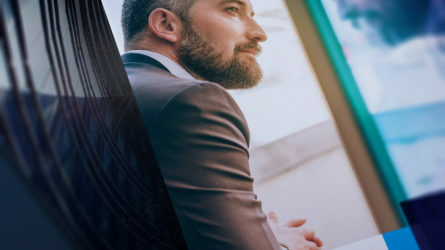 Mercuri International, the largest sales performance and training consultancy in Europe, with almost 50 years experience helping both companies and individuals improve their sales results. Our work included Web IA and design, CMS build. training, research. 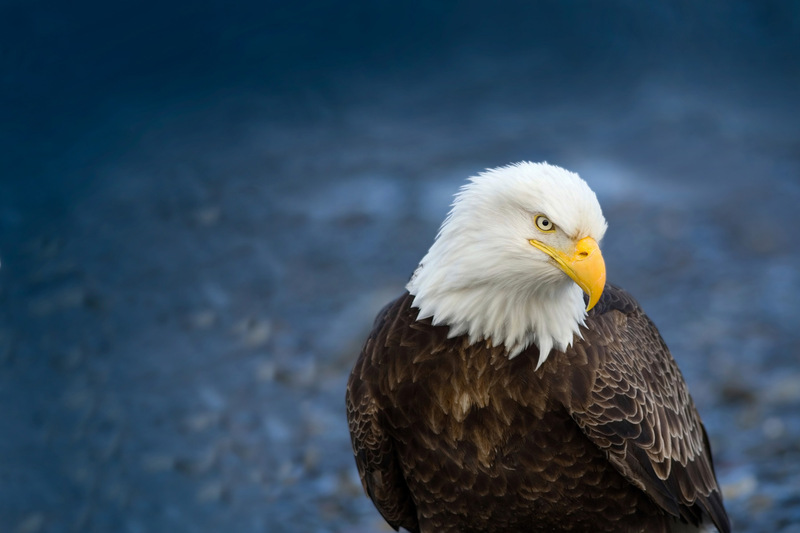 The concept around the site was developed to tap into the power behind imagery of eagles, used as a metaphor for sales and conversions. The imagery extended futher into the Mercuri communications strategy, creating a strong mental association. The homepage of the site contained the underlying image concept and a clear and contemporary layout style. The online portal required careful planning and prototyping due to the extensive multi-regional domain and page type structure. 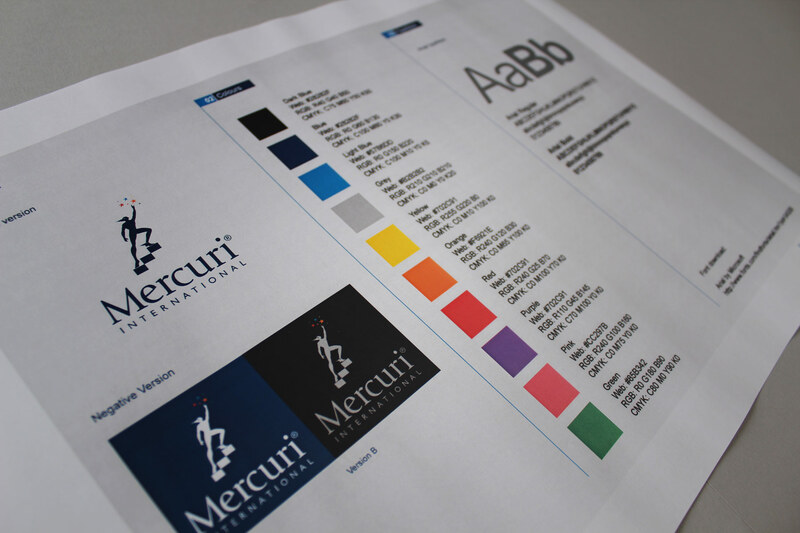 We worked with the Mercuri guidelines and extended the controls into the digital format. The simple looking frontend disguises a very complex and deep back end system, based on a multitude of user types and page functions. The brief was to design and build a global web portal, including an intelligent and solid content management system to empower and engage staff. 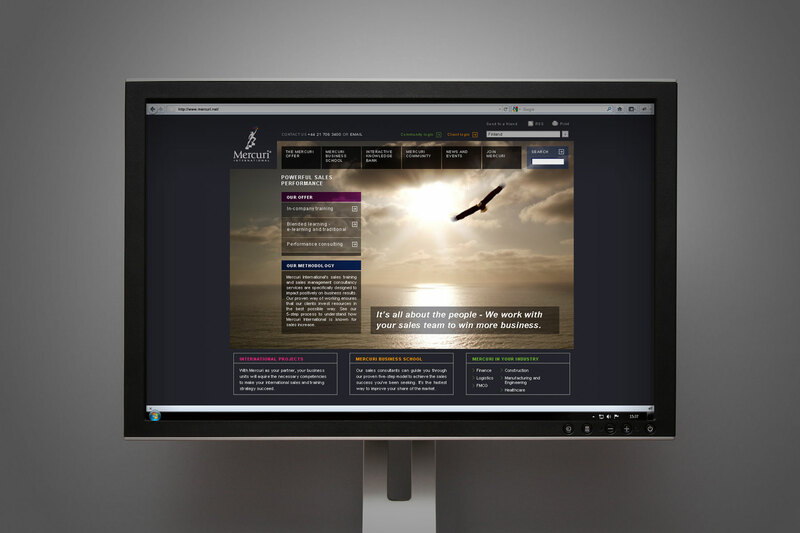 The brief was to design and build a global web portal, including an intelligent and solid content management system to empower and engage staff. Mercuri required a portal to act as a search-friendly successful conversion tool which could be easily updated in-house. Mercuri is present in over 25 countries worldwide, and so needed to be able to create micro-sites easily from any of their global hubs. 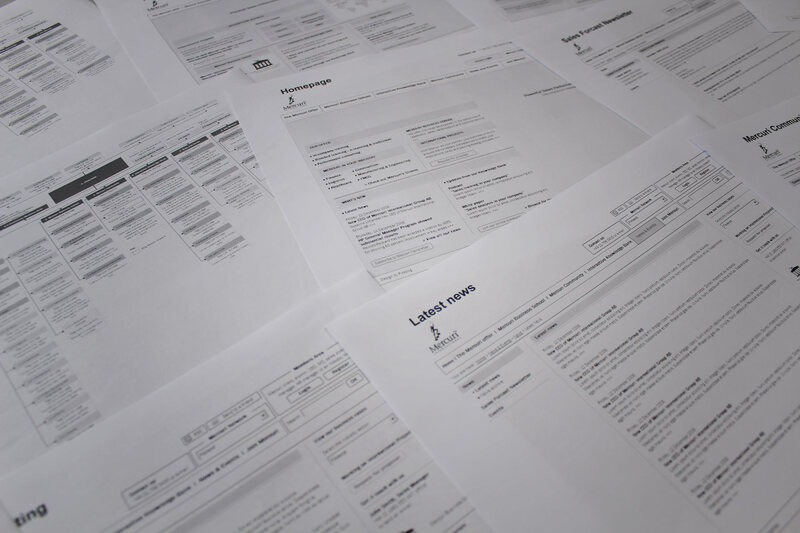 Firedog firstly undertook considerable research, which was followed by web strategy, architecture and wireframing stages, finally outputted as a prototype to test usability. Supporting an information-heavy design, the Mercuri website features a suite of bold metaphorical imagery - eagles in flight against striking landscapes. We worked closely with Mercuri’s brand team and developed 5 proposition statements around the company strapline ‘Powerful Sales Performance’, for use on the web and across other corporate communications. Recommendations were made for supporting imagery to boost the existing brand and add to the visual look and feel of the website. Supporting an information-heavy design, the Mercuri website features a suite of bold metaphorical imagery – eagles in flight against striking landscapes. 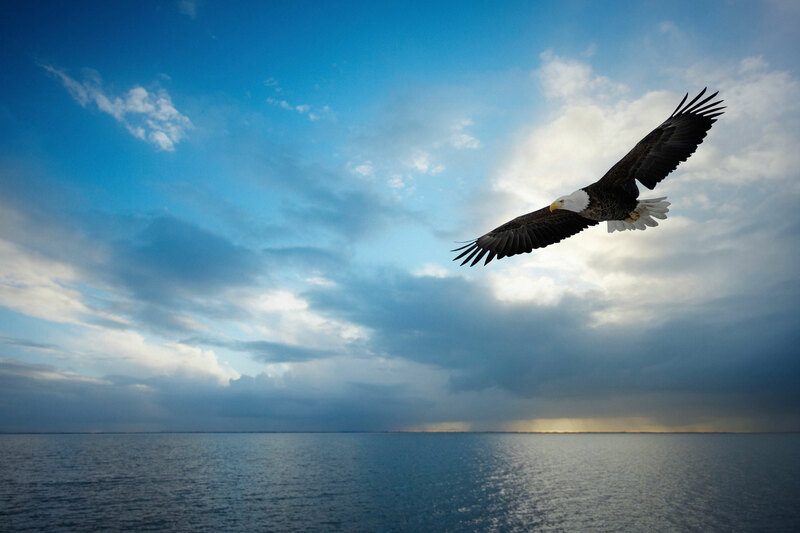 The eagle represents the key drivers for the successful salesperson, passion, focus and above all, the killer instinct. The design relies heavily on colour and a grid structure to balance extensive content with sleek and intuitive navigation. The website was built using a PHP/MySQL based community and publishing system which enables the appropriate personnel worldwide to manage the entire site internally. The website was built using a PHP/MySQL based community and publishing system which enables the appropriate personnel worldwide to manage the entire site internally. Over 100 modules were incorporated into the system to satisfy Mercuri’s ambition to serve both business and community needs with one site. 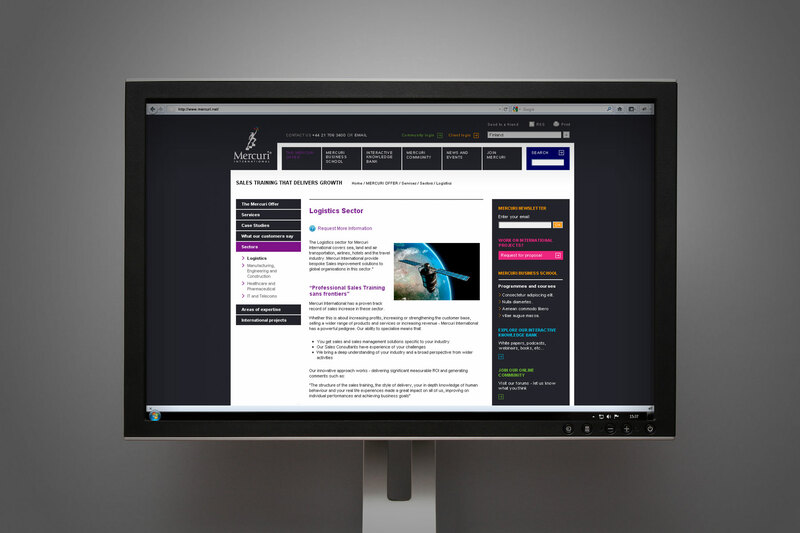 These included; upload and download products and course modules, course booking system, blogs and forums, restricted client area, interactive knowledge bank, RSS subscription and a database and broadcast system. All these areas and more are managed within the system, and can be updated whenever necessary. Finally a fully comprehensive manual was created and distributed to key staff in order to enable knowledge handover. All in all, the result is a powerful sales communication website, which is sure to send ripples through the market.